Our solar-powered festive lights are simply ingenious. No need for wall power. Accentuate your shrubs, bushes and fir trees with lights in no time at all. 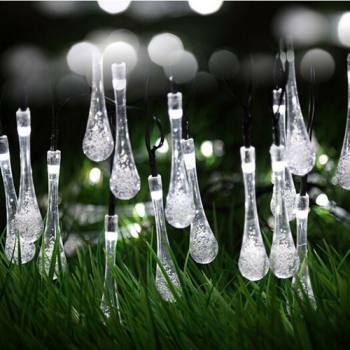 Fairy lights with integrated solar cells are available in several lengths and shapes. The built-in battery can be charged during the day when it's sunny. When it gets dark the light switches on automatically. Some of our fairy lights have two modes so you can choose between steady on mode and blink mode.